All our coins are made from pewter that is either antiqued or gold plated. 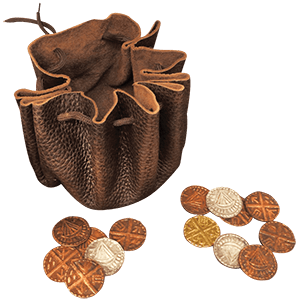 Our Coins are great for kids of all ages, collectors, gamers and living history groups. 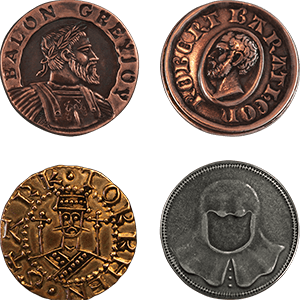 These reproduction coins have the same weight, metal alloy and fineness in detail, as the originals from the historical era. 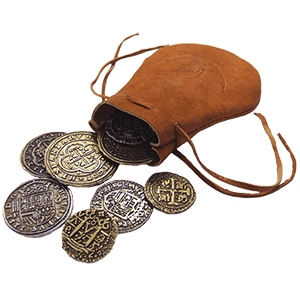 We have a wide variety of replica Pirate coins, Viking coins, Roman coins, Greek coins, Scottish coins and Celtic coins. 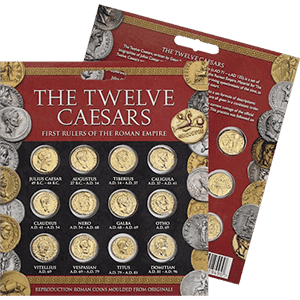 These coins historically accurate and are great for classrooms. 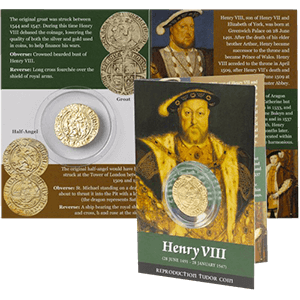 We are your source for replica coins from all the ages. Currency has always made the world go round: this fact has barely changed since the dawn of time. 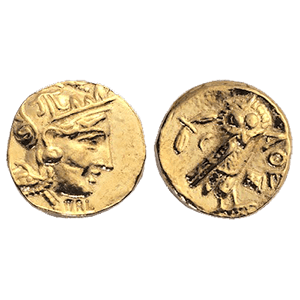 We are offering you a wide assortment of fantastic coins, each one designed from the early eras of Greek history. These Greek coins are meticulously made and wonderful in form: they feature hallmarks of the once-great Greek societies that would have used these coins as well as featuring a craftsmanship that makes them look less like replications and more like restored historical works. 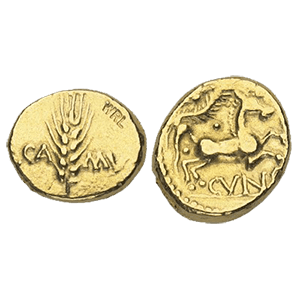 Among their number, you'll find coins such as the stater and the didrachm: two coins that were well-used and well-known throughout all of ancient Greece. Even better, they aren't just collectors pieces; these Greek coins are fantastic for whatever use might be had for them: they are great for collectors, fantastic as little gifts for children of appropriate age, and serve as a functional, if fictional, form of currency for gamers and history groups. These Greek coins and their informational pamphlets are very interesting, and very functional, so pick them up today. The Saxons and the Normans were both a people known for their tenacity and their military prowess; both inevitably settled in many places, although they both found Briton, what is now modern-day England, as their home, and thus, the Saxon and Norman coins offered by us are similar in name and shape to some of the most common forms of English currency, particularly the penny. 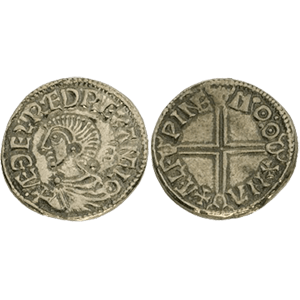 Many of our Saxon and Norman coins feature busts of Saxon and Norman kings on coins made of pewter with antique-plating; some even feature an included pamphlet that details small bits of information about both coin and people. In a way, the similarity of Saxon and Norman coins is somewhat ironic: the Normans invaded Briton and fought against the Anglo-Saxons. 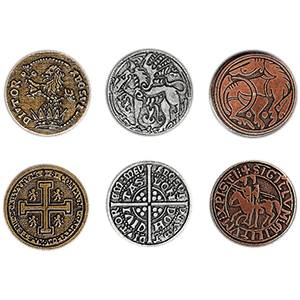 These Saxon and Norman coins are fantastic for gamers, children, and collectors, and work wonders when used as false currency or accessories when used at fairs or re-enactments.